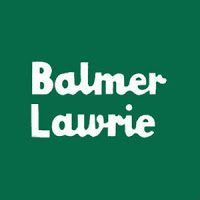 Balmer Lawrie Recruitment Notification 2018.Balmer Lawrie has released a notification for the recruitment of Associate vacancies.Check the eligiblity and notification prior to apply for the positions. Last Date for Submission of Application is on November 11th, 2018. Qualification: Bachelors Degree with post qualification relevant experience. Place of Posting: Visakhapatnam, Kolkata, Raxaul & Jogbani, Kolkata. Last date for submission of applications: 11.11.2018.